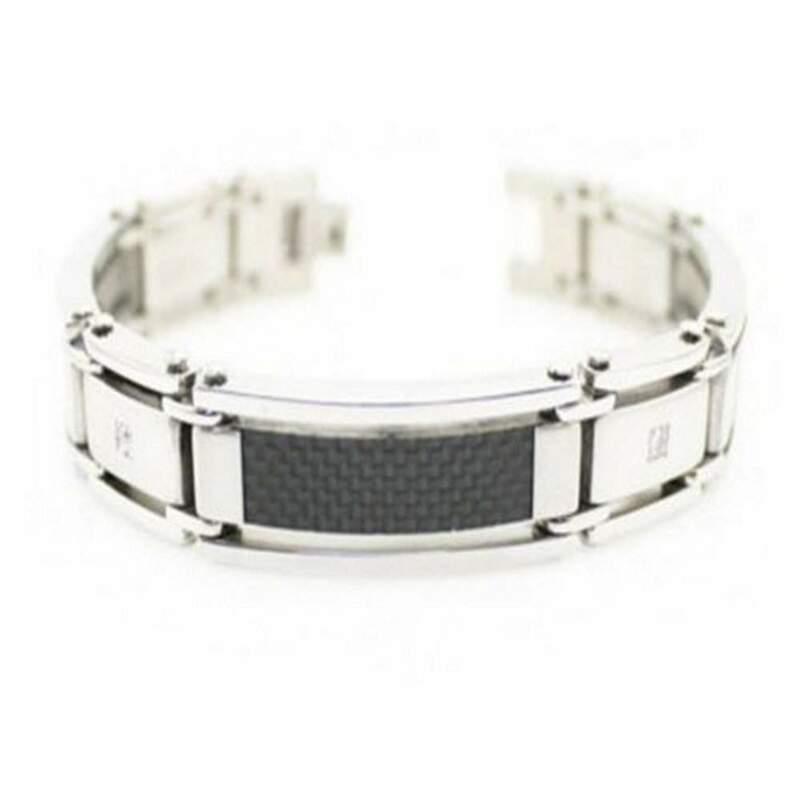 Modern yet elegant, this men's stainless steel bracelet has a luxury look with an affordable price tag. Rectangular links set with black carbon inlay alternate with brushed finish links dotted with 2.5mm white cubic zirconia (3 CZ total). 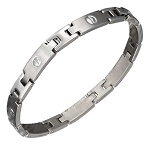 High polished sides and a fold-over clasp complete this 15mm wide by 8.5 inch long stainless steel men's CZ bracelet.